elstudio is the destination recording studio in Costa Rica. The facility caters to artists, bands and various kinds of productions that require an exclusive, private environment for recording, mixing, songwriting, rehearsing and pre/post-production. elstudio offers recording, mixing (also online) and full production services in a number of different musical styles, from a one-off track to a full album. The facility caters to artists, bands and various kinds of productions that require an exclusive, private environment for writing, recording, mixing, rehearsing and/or pre & post-production. The philosophy of our destination recording studio extends beyond simple recording into lifestyle and wellbeing. Our belief, based on our own experience, is that creativity born from nature creates greater inspiration and awareness. We arrange the full itinerary for our clients. The Villa provides room to accommodate 10 people, including a private apartment on top of the studio. On request, elstudio provides an exclusive Spa facility and catering on-site. The recording studio consists of three main rooms. A live room (35sqm), control room (25sqm) and a small booth (3sqm) all of which were designed by legendary George Augspurger. The entrance to the studio is through the Villa's living room, with a ceiling height of 8m, which is great for ...well you know. 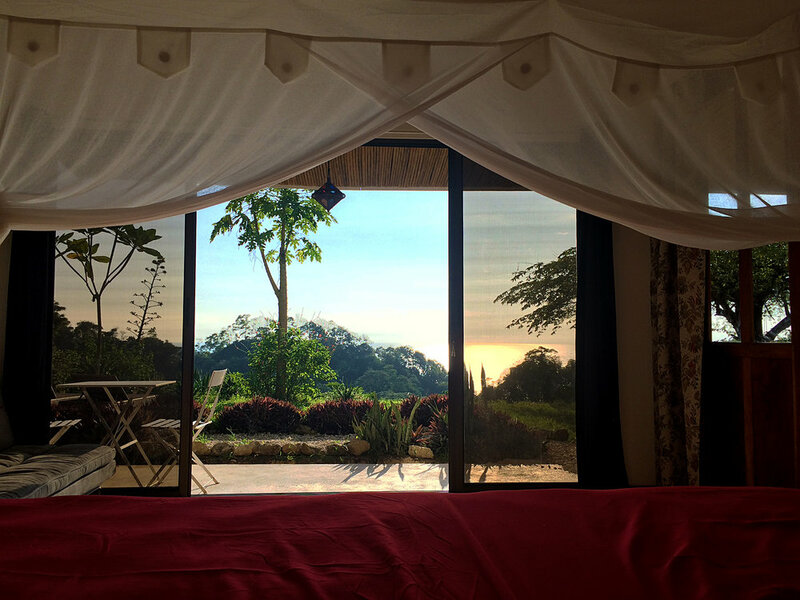 Enjoy wonderful Costa Rican jungle & ocean views from both the control room and live room. The rest of the house is discretely integrated as being part of elstudio, with tie, speaker and cue lines, even including the bathroom. elstudio is equipped with a modest collection of classic microphones, instruments and analog outboard. All locations and equipment are logically connected to patchbays, so that every professional producer, engineer and musician that walks in immediately feels at ease. Between sessions artists can take a dip in our private swimming pool, enjoy the warm Pacific Ocean (only 800m away), drink a fresh fruit smoothie on the beach, read in a hammock, have a surf session or take a yoga class. Afterwards, play a new take or listen to your mix with a fresh and clear mind.